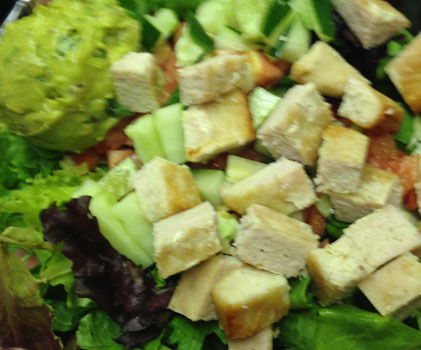 Watch: The Turkey Salad with Guacamole in 15 seconds. 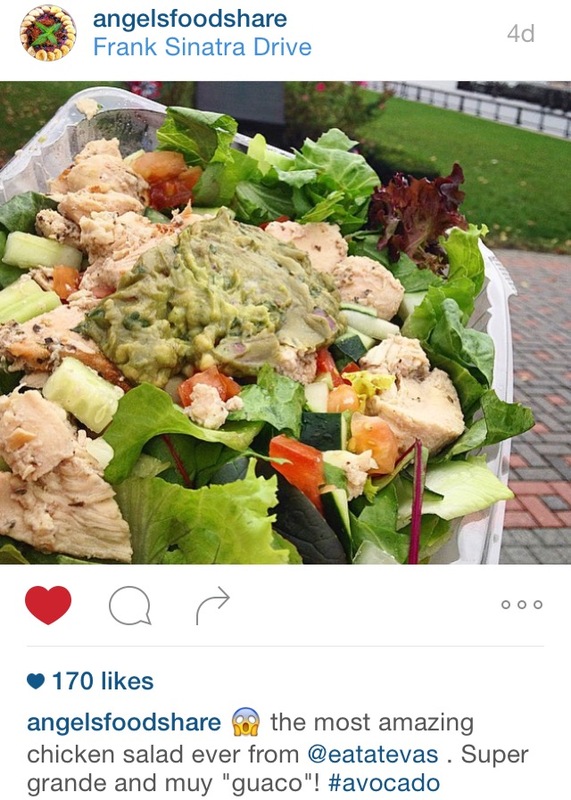 First of all, a salute to the Chicken Salad with Guacamole. Check out @angelsfoodshare on Instagram. You can find many photos of tasty, healthy eats! The results are in and people love our chicken! Each tender bite is seasoned and grilled to a perfect outer crisp and a moist center. Put it on top of any greens with some tomato, cucumber, and a scoop of guacamole and you have a winner! But even here at Eva’s we understand that even the most avid fitness aficionados would get bored eating chicken breast everyday. That is why we have another high quality protein choice: turkey! When people think turkey, they usually think of a much dryer chicken, but not our turkey! We use an all white meat cut that is first baked and then broiled to finish it off. In this way the turkey gets that crisp outside, with an evenly cooked inside that retains moisture – so you get a fork-tender consistency in every bite! Before serving we give it our mixture of spices and then put it on top of romaine, with cucumbers, tomatoes, and the real kicker is the scoop of guacamole, which we make in-house every single day. Personally, we like to eat it with oil and vinegar but we wouldn’t say no to tahini either. Please, do yourself a favor and come in for one today!